Most applications? I can only think of a few that a D800 would be overkill for, perhaps street photography or travel. But if those fairly dramatic differences are irrelevant for you, then of course, you could choose either camera and be happy. But you simply cannot argue that such dramatic differences are irrelevant for the everybody. And even in this isolated test of only one image, the advantages in IQ (color depth, sharpness) are fairly dramatic. The OP meant intended to make his case for the EM5, but actually ended up making a great case for the D800. So if some shoots stock or sells prints or is a hobbyist, why wouldn't they want the camera that produces the very best IQ that they can afford? A wedding photographer who wants gorgeous shallow DOF detail shots, or bitingly sharp portraits with beautiful soft backgrounds and fantastic high ISO ability for the ceremony would most certainly not think a D800 is overkill. For a portrait photographer a D800 most certainly would not be overkill. For street photography or travel photos, I would agree. But then for street photography, even an EM5 is overkill. A Ricoh GRD can do the job as well as any camera. I play the saxophone, and when I was a young saxophone student my parents tried to get me the best instrument they could afford. And like in the camera world, with musical instruments, money gets you quality (quality of workmanship, materials, tone). The D800 and to a certain extent the EM5 give you just that: quality. To argue that one camera is valid and but the other is overkill is just not a winnable argument to make. What is also true is that Nikon offers hundreds of lenses from UWA to super telephoto. Even an amateur or hobbyist can find all kinds of used lenses for dirt cheap that work perfectly on the D800 (Keep in mind that on all Nikon professional grade cameras, all Nikkors except some pre-AI lenses work perfectly and AI lenses even give you an AF confirm light). As far as weight, when I go out specifically to shoot landscapes, I always have with me my tripod which of course does the heavy lifting (not that I consider a camera that weighs 2 lb (1 kg) heavy, and I only weight 165 lb soaking wet. And actually the larger, more robust camera actually feels better in my hands than a smaller camera like my GH2, which is so tiny it's actually cumbersome to change settings, and the small grip actually get more tiring to handhold. Anyway, I'm sure the OP could post dozens of great images from both cameras, but side-by-side is not doing the EM5 any favors of making a good case for the OP. By the way, perhaps this forum will try some more realistic comparisons. All these OMD comparisons with the best of the best FFs don't make much sense a crop sensor cameras, even APS-C ones are pretty far away from the best FF. 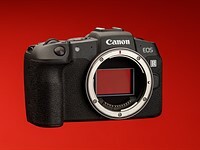 How about the D5200 or D7100? That might make more sense.